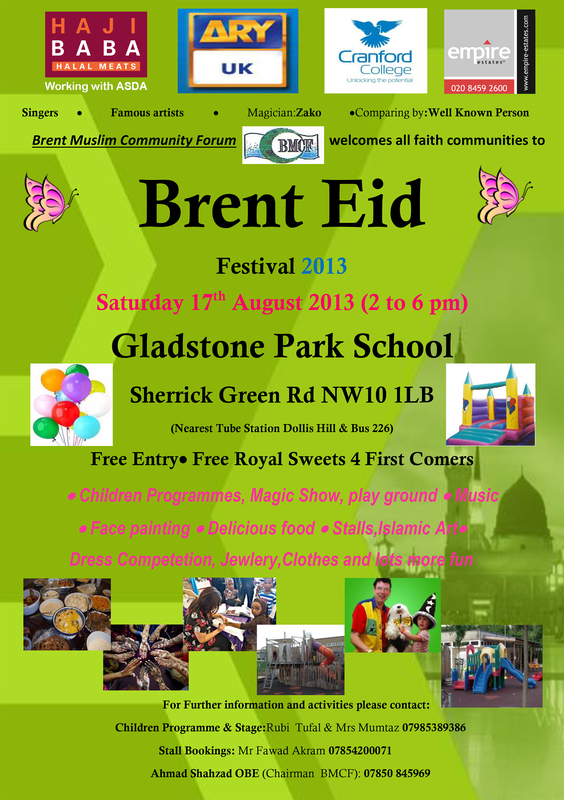 Come along and enjoy Eid in Brent open to all communities whether Muslim or not. The poster below has further details. Posted on August 3, 2013 by Cllr Krupesh HiraniPosted in BrentTagged Brent eid, Brent Eid Festival, Eid in Brent, Gladstone Park, Gladstone Park Primary School.